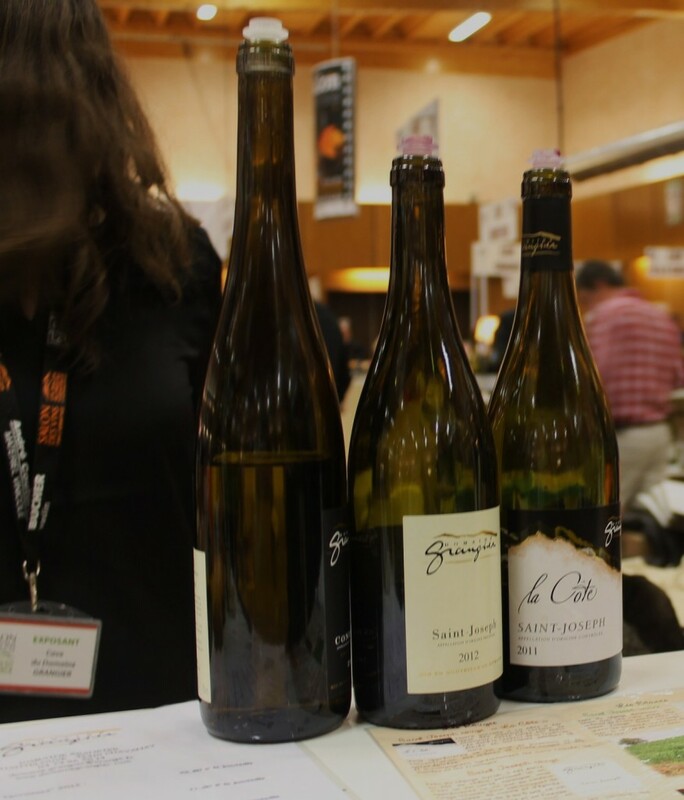 The annual wine fair in Tain l’Hermitage brings out the great and the good of Hermitage and Crozes-Hermitage, as you might expect, but there are lots of hardy souls who make slightly longer journeys to show off their wines. 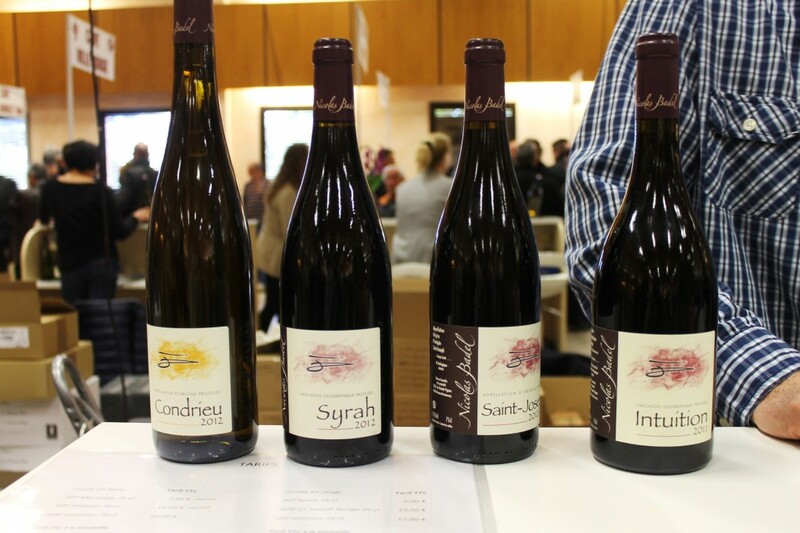 So while Part 1 of this round-up was all about the locals, Part 2 looks at the producers who came from Condrieu, Côte-Rôtie and northern St. Joseph. Most producers were showing off their 2012s, with a few still pushing their 2011s. Although the two vintages have certain similarities, in general the 2011s are more upfront, more obviously fruity, while the 2012s have more structure, more backbone and will need longer to reach their best. 2012 has generally been kind to the whites of the northern Rhône – the best wines have depth and power but aren’t flabby or overblown. This isn’t always an easy balance to strike with naturally low-acid grapes like marsanne and, especially, viognier, where it is possible to have too much of a good thing. My ideal Condrieu certainly has viognier’s expressive, even exotic fruit – apricot, roses, violet, orange blossom – and the suggestion of oak is no bad thing (just not lots of toasty new oak, thank you), but what I’m looking for more than anything is a rich, full palate – creamy rather than buttery – underscored by something mineral, as if you can taste the granite soils in which the vines grow. The marsannes of St. Joseph may not be as exotic, with apple and almond being the typical flavours, but they can be every bit as mineral. And they can age well, too. The 2012 reds are more patchy than the whites. I have no problem with a St. Jo with a bit of bite, a suggestion that the grapes were only just ripe when they were picked. I love the light, aromatic leafiness of certain northern Rhône syrahs (Domaine de Gouye’s simple Vin de Table 2012 being a perfect 11.7° alcohol example) just as I’m happy to drink big leathery Barossa shiraz, but some of the 2012s I tasted were downright stalky and green. And the higher tannins and less immediate fruit of the ’12s compared to the ’11s accentuate any under-ripeness. Happily, though, there are plenty of delicious reds if you shop around. Côte-Rôtie in particular has produced some great wines, as it should at those prices. So without further ado, here are the wines from the Lyon end of the northern Rhône. The St. Joseph Blanc 2012 (80% marsanne, 20% roussanne) is hardly shy in its use of oak, but alongside that there’s an attractive yellow plum nose. At the moment, the palate can’t quite match the nose for intensity, but certainly very pleasant drinking. The Condrieu 2012 also has oak, but there’s lots of ripe fruit there too, with flavours of apricot and orange flower water. Not the fullest or richest Condrieu, but the balance is good. The estate covers 10ha (about 25 acres) and has been organic for “about 40 years”. The St. Joseph Rouge 2012, “Un Autre Monde” is on the stalkier end of St. Jo, typical of many of the 2012s from the northern end of the appellation. It mixes raspberry and briar fruit. It’s a style that I find very easy to get on with, but I suspect some people would want a bit more flesh. Given a year to soften, I think it will have wider appeal. The Condrieu 2012 is highly perfumed but lacks a little definition. Chambers Street Wines in NY has a good range of Barou wines. A tiny 2 hectare (5 acre) estate run by mother and daughter team of Eliane and Sandrine Bonnefond. Their one wine, a Côte-Rôtie 2011, is a blend of 92% syrah, 8% viognier. By any normal standards of wine appreciation, you would have to say that the wine isn’t anywhere near the best in the appellation. For a start it’s rustic, with a nose that mixes a chalky, dusty earthiness with stalky, slightly under-ripe bramble fruit. But it also has an honesty about it, a juicy, tasty country wine-ness I like. The problem is that being a Côte-Rôtie it costs 23€. The St. Joseph Rouge 2012 spent a year in a mixture of demi-muid barrels and smaller barriques. I was left with the impression that the wine had been worked hard to push forward the inky fruit. That said, John Livingstone-Learmonth, the Rhône expert whose opinion is worth taking note of, thinks that this is a laid-back wine that’s easy to appreciate (I paraphrase). Hmmm. The Côte-Rôtie 2012, 100% syrah, also came across as rather forced. Admittedly, it’s very young and closed up, which never makes tasting a wine easy, but I’m not convinced this will gain finesse or a silky texture with age. It certainly has power, but it isn’t carried lightly. A delight. François Corompt has only 2 ha of vineyard, almost all given over to white grapes. He seems a shy young man (there isn’t even an email address on his business card) and his wines don’t scream for attention either. 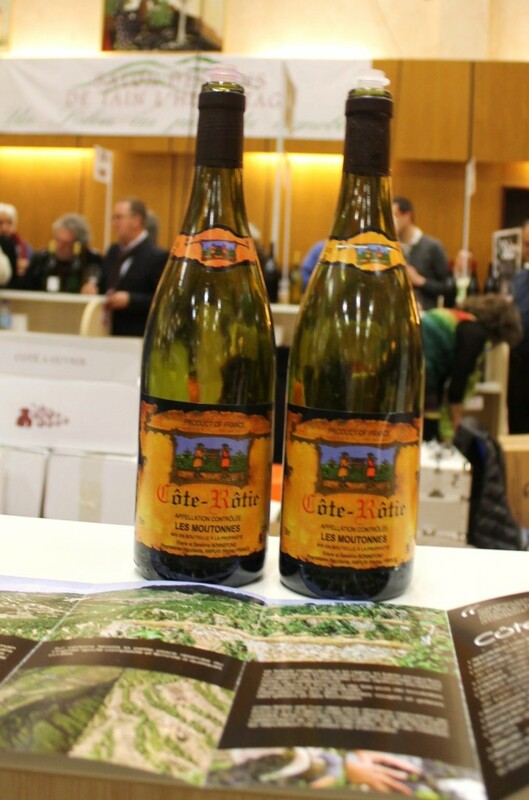 His Côtes-du-Rhône Blanc 2012 is pure viognier, from a vineyard outside the Condrieu appellation. It has classic viognier aromas of stone fruit and flowers; it’s fresh, lively, well-balanced (although naturally more delicate than a Condrieu) and has a creamy texture. And all for 9€. The Condrieu 2012 has the same unforced, easy-going style -its richness comes across as natural rather than imposed through cellar manipulation and showy winemaking. It’s less floral than the CdR, but gains in weight and concentration. And at 21€ it’s right at the bottom end of Condrieu pricing. Both wines are bargains, but sadly I can’t find anybody who stocks his wine. The Condrieu 2011 had weight, texture, aromatics and even a certain freshness, all the things you would look for in a Condrieu. But I was left with a strong sense of “so what?”. I thought the same when I tasted the wine in Lyon last November. It may be me. Their Condrieu “Les Terraces” 2012 is over-oaked for my taste, but the wine underneath is pretty good. There’s a fine balance of weight and freshness and like all good Condrieu, it’s powerfully aromatic – in this case the wine plays up viognier’s floral side with rose petal and violet. If you like your wines with a full compliment of oak, drink it now, otherwise leave it a few months for the oak to integrate. The St. Joseph Rouge 2012 was rather overwhelmed by the Condrieu that came before it. There’s briary red fruit, but this is a northern sector St. Jo that’s a bit green around the edges. I so wanted to like these wines as Monsieur Badel seems such a passionate man, but in the end I just couldn’t give them an unreserved thumbs up. The Condrieu 2012 is a relatively delicate style, floral more than stone fruity with a pleasant creamy texture. 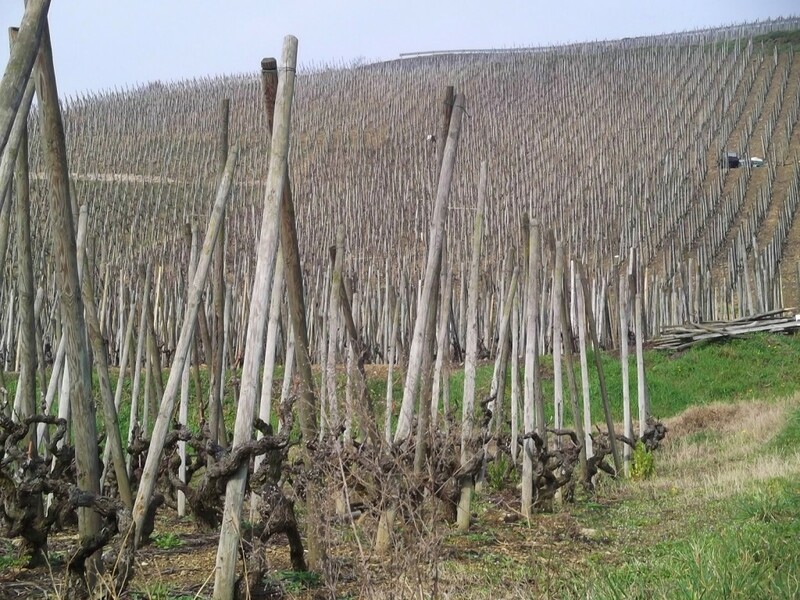 But its lack of real depth suggests that the vines are young. His IGP syrah 2012 was very reduced, leaving it smelling like burning tyres. Frankly, it was difficult to see beyond that. The St. Joseph Rouge 2012 has nice juicy blueberry and black cherry fruit in a simple, easy-going style. Despite its supposedly lower status, another IGP syrah, “Intuition 2011” was the best of the lot. It’s modern, with plenty of oak, but has more weight, richness and darker fruit than the St. Jo, as well as a touch of roast coffee on the nose. A small estate that grows mainly white grapes. The Viognier 2011 is quite delicate and doesn’t make a big play of being viognier. Initially, you might even mistake its subtlety for diluteness. But then comes an impression of drinking from a clear, bright mountain stream. There’s lovely purity to the wine. The Condrieu “Les Grandes Maisons” 2011 comes from a single vineyard of the same name. It’s clearly Condrieu, but again subtlety is the key. The wine is a model of clarity and poise. Sophisticated stuff. Condrieu “Vernon” 2011 comes from one of the appellation’s great vineyards, on a steep south-facing hillside that captures as much sun as possible. 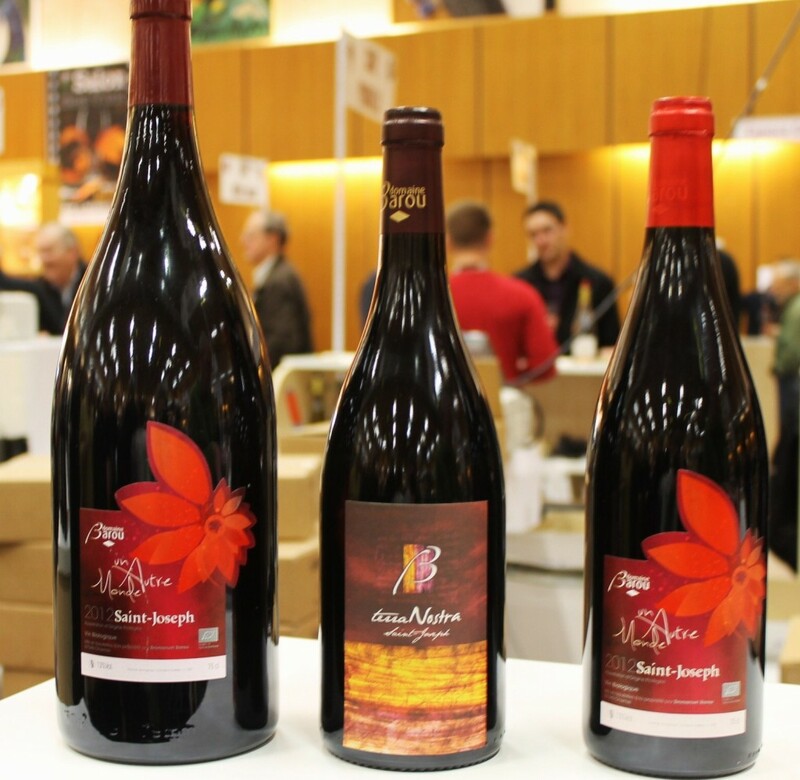 In comparison, this is a big, booming wine, fuller and more powerful than the Grandes Maisons. The rich, more obviously oaked palate mixes confit fruits with violets and there’s a profound mineral core. Impressive and delicious. That said, for reasons I find hard to explain, I have a sneaking preference for the Grandes Maisons. 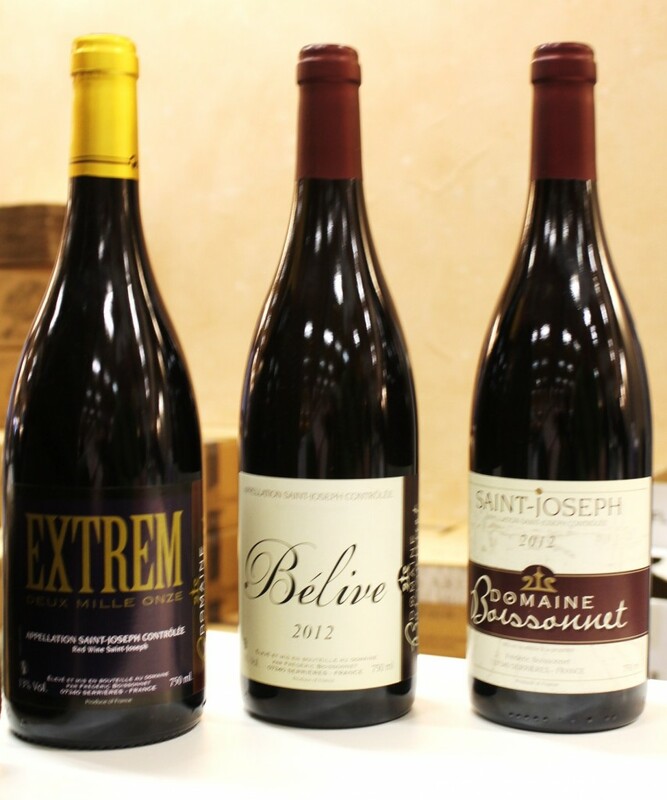 Le Du’s in NY are listing the 2010 vintage of the Grandes Maisons on wine-searcher. It has to be worth a punt. This is a good source for those who like traditional wines with a local feel. There’s a classic Condrieu “Maladiere” 2012, with plenty of richness and apricot fruit. The ripeness and low acidity combine to give a slight suggestion of sweetness in the manner of a plump Alsace pinot gris. Less mineral than the wines from Domaine Facchin, but good. The Côte-Rôtie “Gerine” 2011 really is quite trad., with stony, gravelly raspberry fruit and a whiff of sticking plaster. If you like big, pumped up, oaky C-R’s, look elsewhere. Me, I like it. 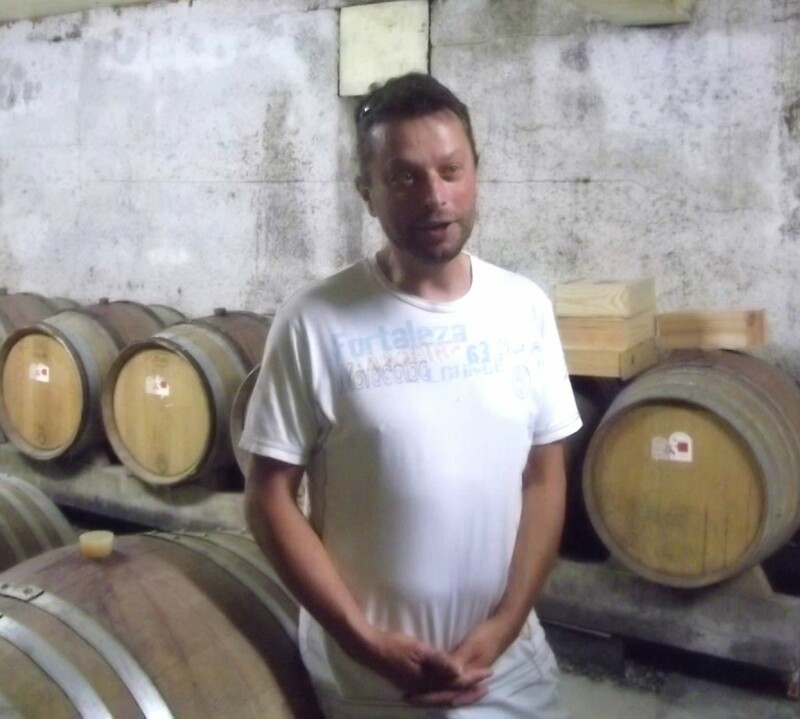 Philippe Verzier in his cellar. Philippe Verzier’s St. Joseph Blanc “Granit” 2012 has a lovely balance between weight and freshness, cream and lime zest. The Condrieu “Authentic” 2012 isn’t the fullest, but has plenty of peach and apricot and a sleek mineral undertow. It’s very good, but I still prefer the St. Jo. Philippe was also showing his first zero-added-sulphur wine – St. Joseph Rouge “Vibration” 2012. He reckoned that it was relatively easy to make an unsulphured wine in 2012 as the grapes were so healthy, but that 2013 will be more difficult. Pure syrah, aged in larger 500 litre barrels, half new, half one year old. Very friendly, very outgoing and very cassis-y, verging towards blackcurrant jam. The rich velvety texture easily absorbs the light tannins. It’s ready to drink now. Philippe’s wines can be bought in the USA from Voix de la Terre, NY, and The Wine Country, Long Beach, and The Wine Club, Santa Ana, CA. Christopher Piper in Devon sells his wines in the UK. 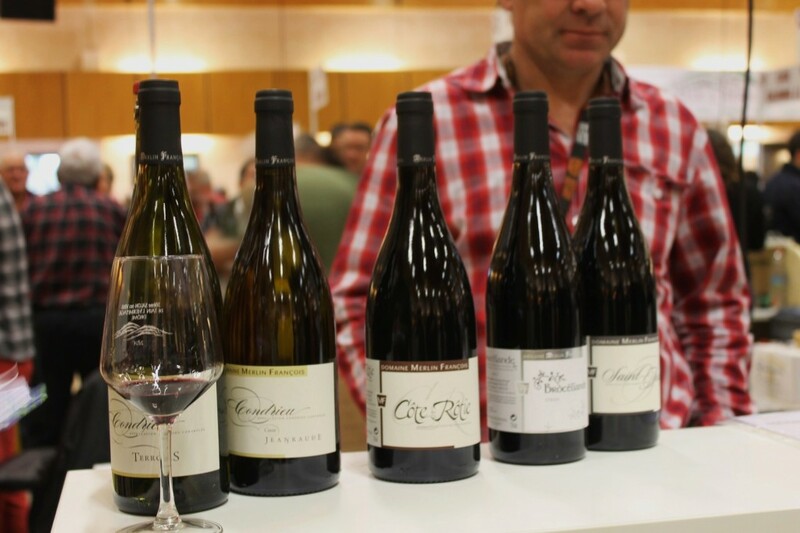 One day later I was at the huge, trade-only Vinisud wine fair in Montpellier where I caught up with several more producers from the northern Rhône. It seems only sensible to cover them here. A brief stop to taste their Condrieu 2011. V-F are unusual in ageing their Condrieu for some time before its release -it was in September 2012 that I bought the remarkably good 2008, four years after the harvest. The relatively adolescent ’11 isn’t at that level right now, but its silky texture and soft fruit have appeal. Total Wine & More have branches all over the east and west coasts of America and stock a wide range of Vidal-Fleury wines. Majestic and Oddbins sell their more basic wines in the UK. 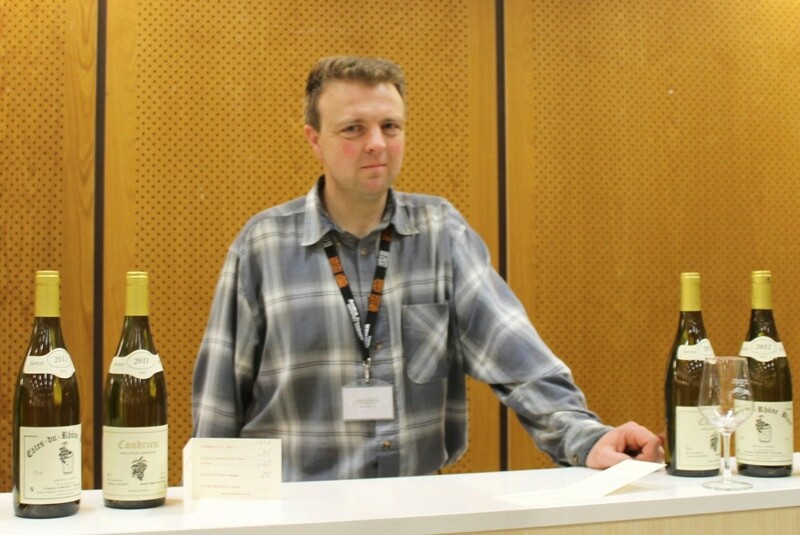 I’m afraid that in the rush of Vinisud, Christophe Pichon’s Condrieu 2012 didn’t make a strong impression. My minimalist notes say merely “so-so”. Christophe B certainly liked going into the technical details of his winemaking, some of which I pass on here. St. Joseph “Brayonnette” 2012 is 80% marsanne, 20% roussanne. About 20% of the barrels are new and there was 30% botrytis on the roussanne. That certainly made it rich, but maybe a bit more tension in the wine wouldn’t have gone amiss. The Condrieu 2012 had 10% botrytis. Half was fermented at low temperatures for freshness, half at higher temperatures for richness. This has a good texture and stone fruit aromatics. It’s not profound, but it’s nicely done. 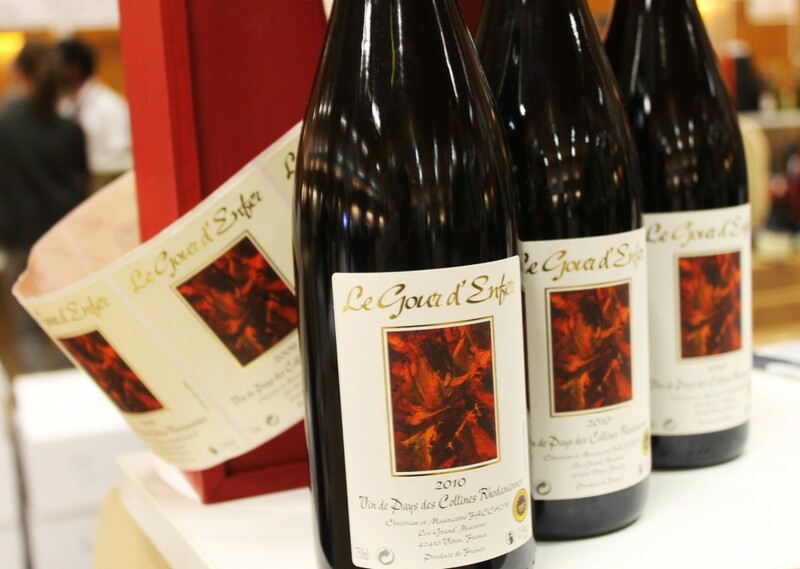 The red, St. Joseph “Les Chênes” 2012, is 100% syrah, although in some years a little marsanne ends up in the blend. A mixture of de-stemmed grapes and whole bunches (25%). A very easy-going, super-fruity style. Ready to drink now with masses of cherry fruit. Vinetrail sells Blanc’s wines in the UK. Yet another Christophe, but the pick of the bunch. The Condrieu 2012 has proper depth, displaying mineral power more than any overt fruit. Good broad palate and rich texture. The St. Joseph 2012 was one of the few I tasted from the northern sector that had real richness and weight too. Spicy, peppery, with plummy dark fruit. Côte-Rôtie “Château de Montlys” 2012 is excellent. My tasting notes say “this is what I’m talking about”, which is hardly literate, but sums it up nicely. 100% syrah. Rich, dense without being forced, smoky, meaty. The weight of fruit easily handles the wine’s structure. Côte-Rôtie “La Fleur de Montlys” 2012 has 10% viognier blended with the syrah. I’d drink it any day of the week (I should be so lucky), but although it has pretty, lifted fruit, it’s shaded by the pure syrah, which is more exciting and animal. Robeson and Decorum Vintners, both in London, list Semaska’s wines, as do Best Wines Online in Santa Ana, CA. 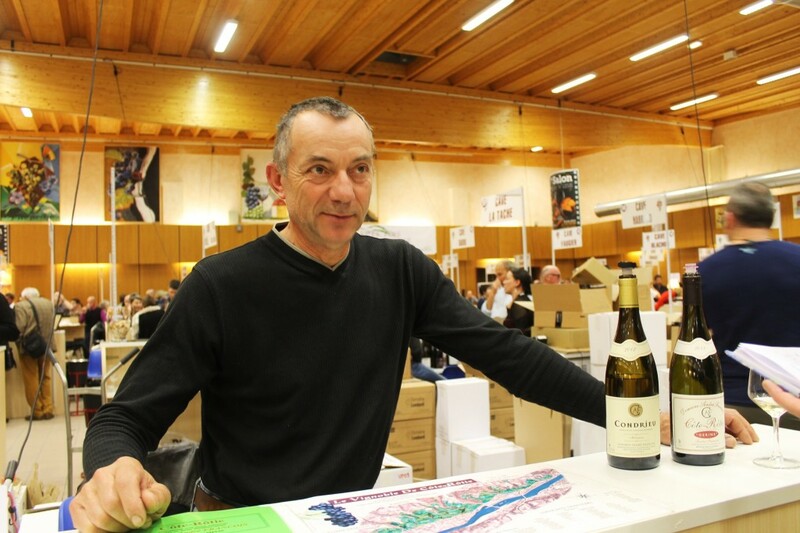 Jean-Claude Mouton comes across as a careful, considered winemaker. He makes two very good Condrieu – Condrieu “Côte Bonnette” 2012 is aged in a mixture of tanks (30%) and 2-3 year old barrels. It’s a pretty, floral wine with a creamy texture and a certain freshness, almost liveliness. The Condrieu “Côte Châtillon” 2012 is more expressive, a bigger wine that is aged purely in oak barrels, of which some 25% are new. It has lifted stone fruit aromas and a real flow from start to finish – everything is all of a piece. Excellent. 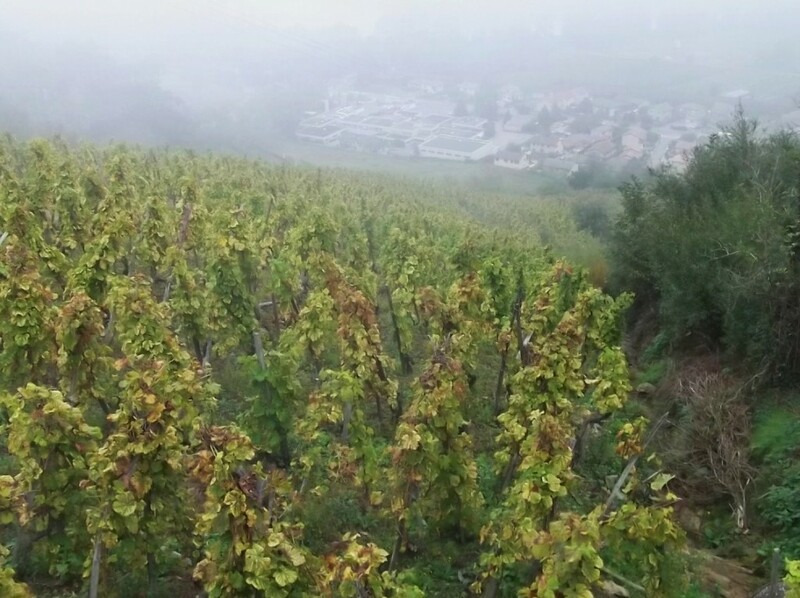 The top of Condrieu’s Côte Châtillon vineyard on a misty day in November. This gives some impression of the slope. Condrieu is far below. The two Côte-Rôties are also very good, although you get the impression that M. Mouton wishes he had some vines in the Côte-Brune sector to give his elegant wines a bit more oomph. The wines are very much in the lighter Côte-Blonde in style, but he has no need to apologise. The Côte-Rôtie “Classique” 2012 is very pretty, soft, silky and red fruited. The Côte-Rôtie “Maison Rouge” 2012 is more vigourous, more animal, but in a similar vein. The Côte-Rôtie “Classique” 2011, with another year in bottle, has really started to blossom. It can certainly be kept for a few years, but it’s very enjoyable right now. Berry Brothers sells the Mouton wines in the UK. 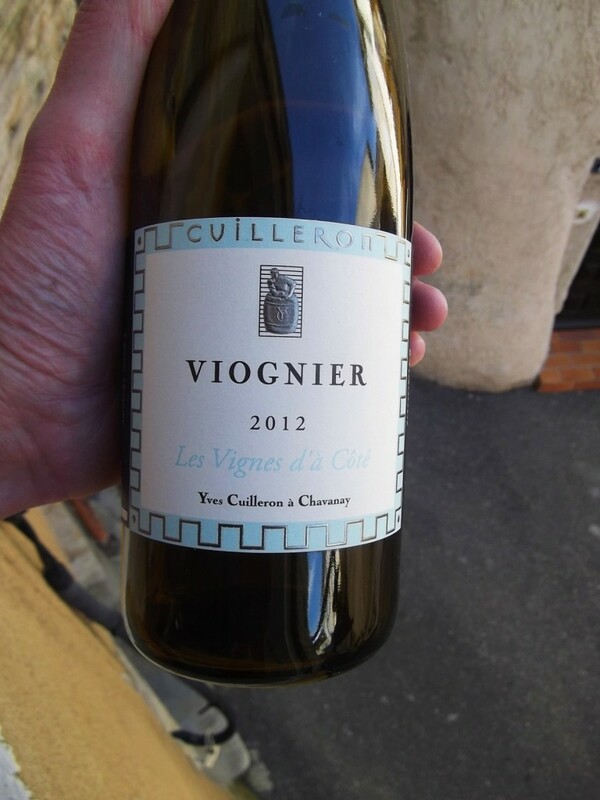 And finally, as a point of comparison, a few days later I shared a bottle of Rhône superstar Yves Cuilleron‘s IGP Viognier 2012. This mightn’t be Condrieu, but it could teach many Condrieu producers a few lessons. And it’s a relative bargain, costing about half the price. Green gold colour. Highly aromatic, with violets and cream soda on the nose. Violets again on the slightly oily palate, tangerine too. It all fits together well with no dis-jointed elements. Breadth and length are very good, even exceptional for a simple vin de pays. Theatre of Wine in London sells the full range of Cuilleron’s affordable varietal wines. The 2012 is available at lots of places in the USA (particularly Conneticut, for some reason) – a quick search will tell you where. 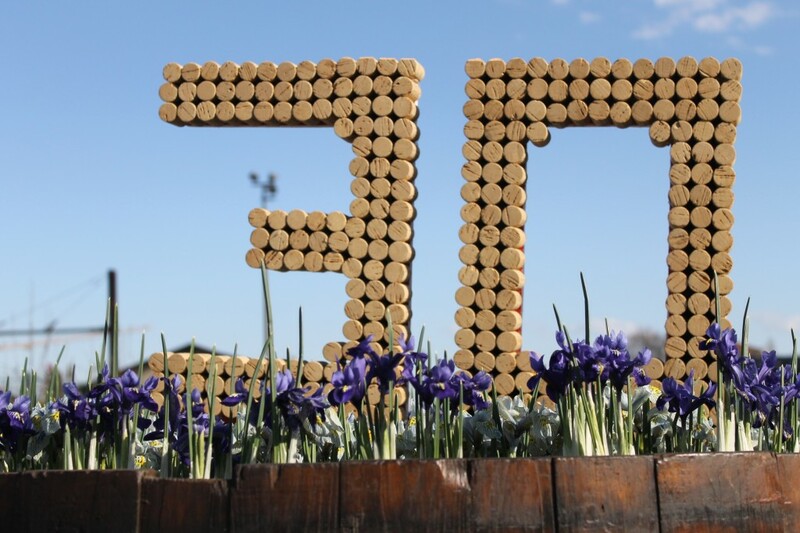 Note: This is the blog of Rhône Wine Tours. As well as wine-heavy blogs like this, there are plenty of lighter pieces. Take a look around. Facebook is where we post random photos and shorter comments and we very much like people who like us. Oh yes, almost forgot, we run a business too: www.RhoneWineTours.com offers splendid private wine tours and outstanding wine tastings. Don’t delay, book one today! This entry was posted on Thursday, April 3rd, 2014 at 4:21 pm and is filed under Tasting Notes, Wine Fairs. You can follow any responses to this entry through the RSS 2.0 feed. Both comments and pings are currently closed.